My Bargain Basket: The New My Bargain Basket Will Be Up Later Today! 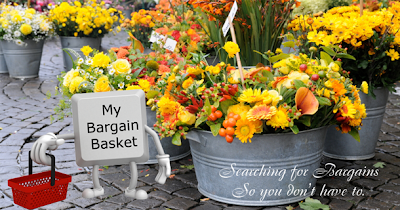 The new My Bargain Basket will be up later today. I will let you know when everything is in place. You will always be able to find My Bargain Basket at http://www.mybargainbasket.com/. So if you have http://www.mybargainbasket.com/ in your favorites, you will atomatically link to the New Face of My Bargain Basket when it is ready.